FREE SIGHT ASSOCIATION organized a press conference at SNJT in Tunis on Friday November 13, 2015, to announce the start of the second part of the KAEDAT program of political empowerment of young women through training sessions in “local governance and election Municipalities “in the northern, central, and southern governorates of Tunisia. 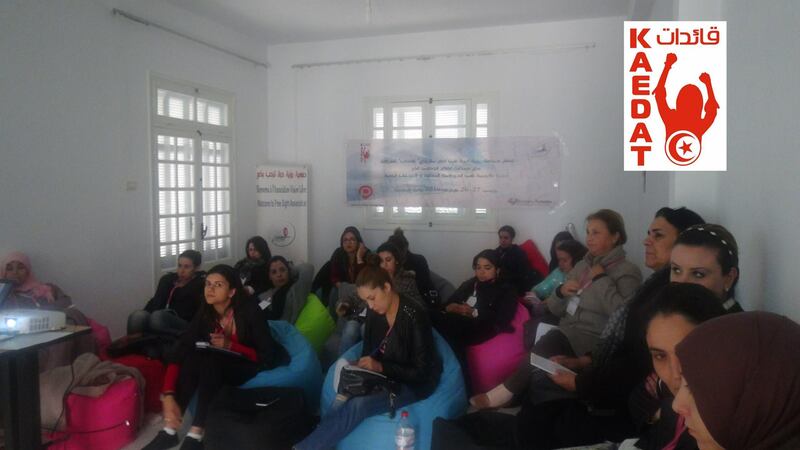 Free sight association organizes as part of its program Kaedat Tunisia for the political empowerment of young women a training session on “local governance and municipal elections” in Kelibia Nabeul on 8-9 April 2016. 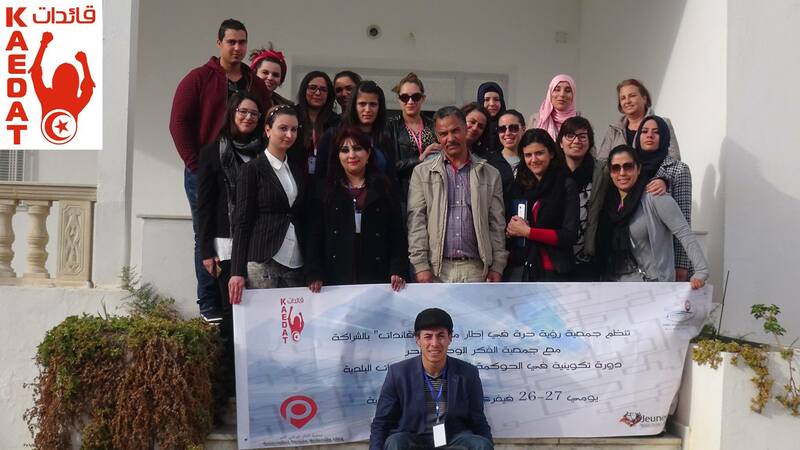 As part of the KAEDAT program for the political empowerment of young women, “Free Sight Association” organized a training session on “Local Governance and Municipal Elections” on February 26 and 27, 2016 for the benefit of 25 participants of young activists of the civil society of Mahdia governorate. Participatory workshops took place during the training session, and a projection of a documentary film was realized within the framework of this program by “Young Artists Association”, one of the partner associations as well as the association thought free national. Kaedat is the political empowerment program for young women. 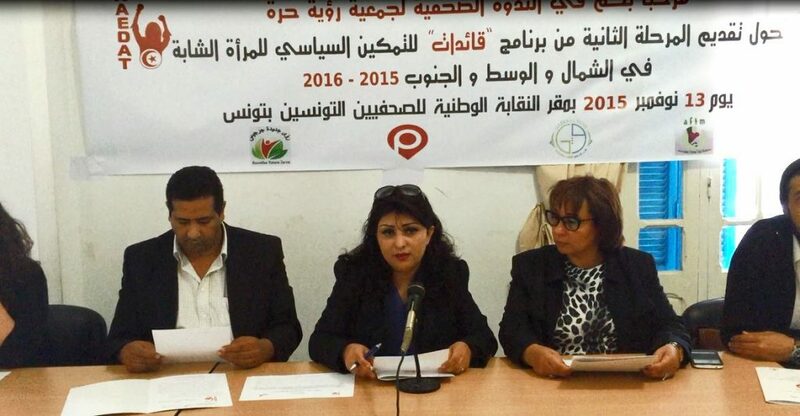 The Free Vision Association organized a training course on municipal elections and local governance in partnership with the Tunisian Sanabel Association and the local office of Summer Camp in Sawaf on 13 and 14 February 2016. Kaedat is the political empowerment program for young women. The Free Sight Association organized a training session on municipal elections and local governance in partnership with the Association of the Unemployed Graduates in the school of fishing in Zarzis on 13 and 14 July 2016. Kaedat the Political Empowerment Program for Young Women. 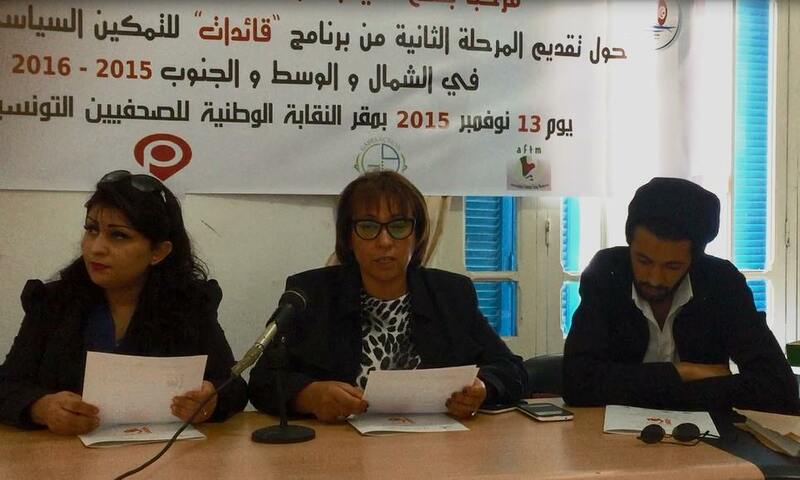 The Free Sight Association organized a training course on municipal elections and local governance in partnership with the Society for the Conservation of the City in El Kef on 21 and 22 May 2015.